International Women's Day? More like International Women's Week! Here at SHC we celebrated International Women's Day for a whole week. 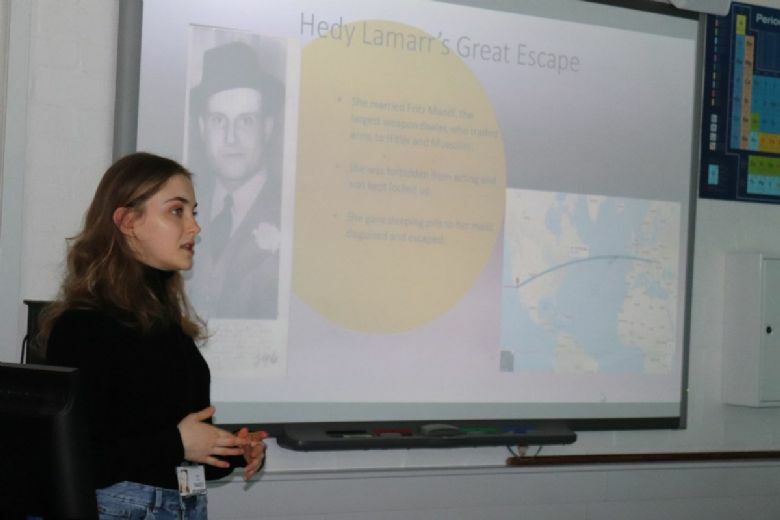 Beginning 4th March, we had sessions delivered by staff, students and visitors alike to explore the achievements of both the women of today, and women in history. We also covered themes like what it takes to be an inspirational woman, and the stereotypes and hardships that women have faced in the past and are still working to overcome. Take a look at what we got up to day-by-day below. To kick off our International Women’s Week, Vice Principal, Geoff Osborne, held our first session that was all about Women in Leadership. Starting with an ice breaker activity, Geoff asked the students to match the influential women, like Michelle Obama and Beyoncé, to their inspirational quote. 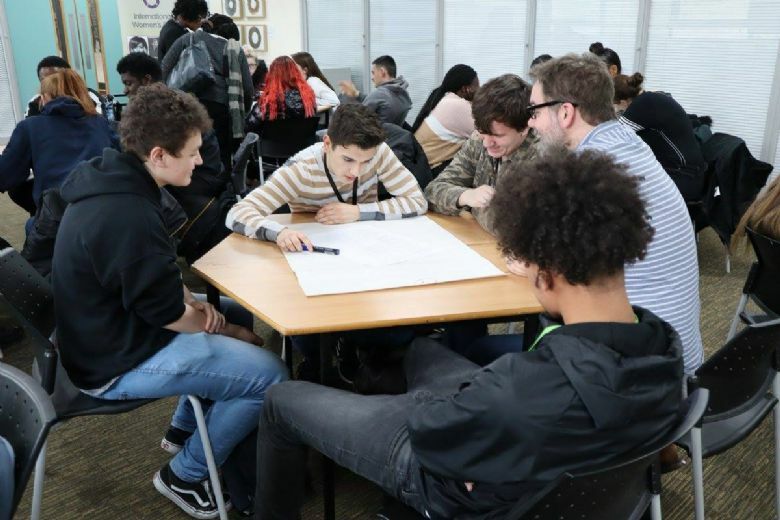 He then went on to speak about women as Senior Leaders and how 57% of the Senior Leaders here at Shooters Hill Sixth Form College are women, but there is still a significant divide in other organisations. To finish off, the group explored women's roles in the workplace and how we can promote equality for women in senior roles. 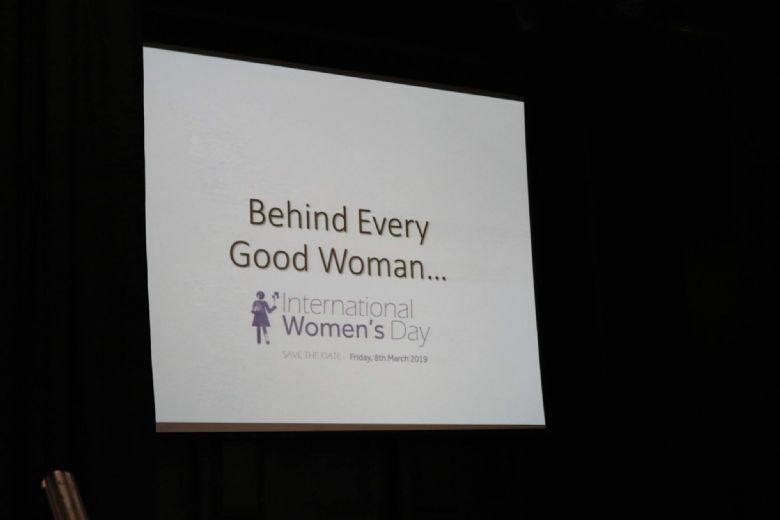 Andrew, a media teachers here at the college, gave a phenomenal presentation on what is ‘Behind Every Good Woman’. - Women without her man, is nothing. - Women: without her, man is nothing. He then went on to speak about women he finds inspirational and what they have completed in their lives, such as, JK Rowling and Ellen Degeneres. ‘Fighting for women’s rights have too often become synonymous with man hating. If there is one thing I know for certain, it is that this has to stop’. This topic continued when speaking about how men fit in a woman's world, e.g. holding doors open, paying on the first date and giving up their seat for women. Andrew responded to these with three statements for students to think about. - Don’t expect things from others that you wouldn’t do for them, regardless of gender. - True equality means being equal. Sharing is key. Balance is essential. - Use every experience, good or bad, to drive you forwards to success. 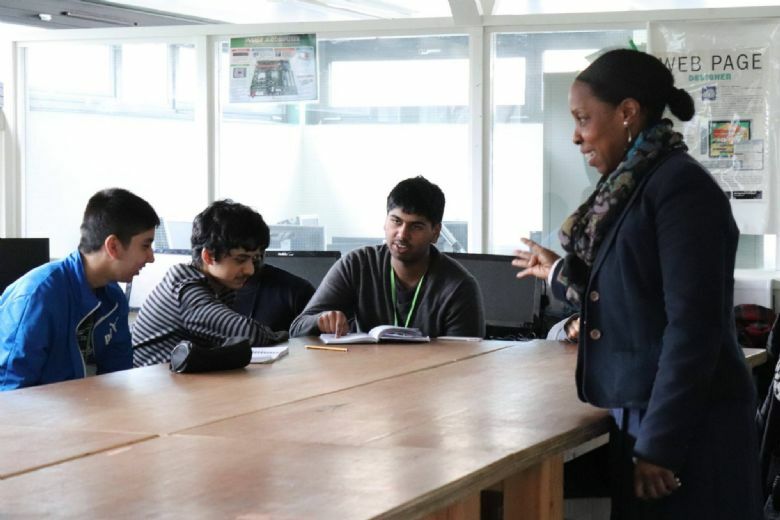 Our Level 3 ICT Students had a class session with Sarah, who is part of the employability team, about Women in IT. Sarah spoke from her personal experiences in the industry, where she started off, how her skills have developed and where she is now. She also shared a story about how her solutions to solve a problem at work were ignored due to her gender. 20% of tech start-ups all across the world are run by women. Also, in the 8 largest tech companies, such as Facebook, Twitter and apple, female tech positions are growing 238% faster than males in 2014-2015. As the presentation continued, Sarah spoke about some of the most powerful women in tech. Did you know that the CEO’s of companies such as YouTube, Facebook, HP and Yahoo are women? 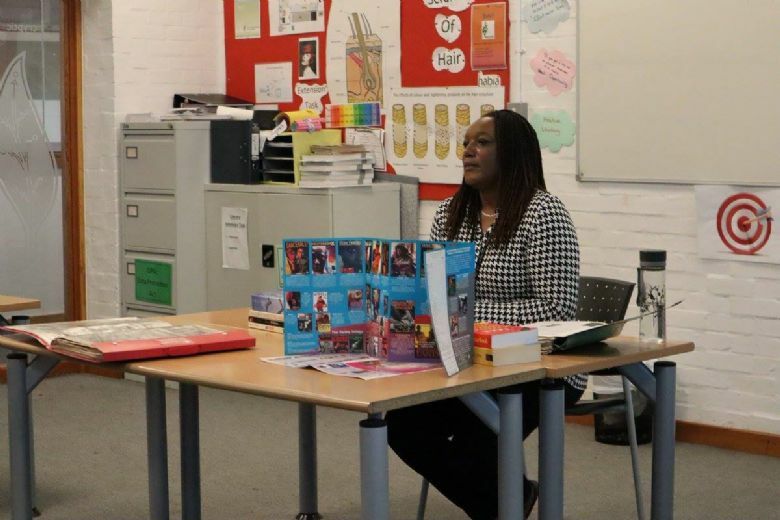 As a fan of poetry herself, teacher Juliet taught a group of students the top tips for writing and reading poetry. She showed a few short clips of young people who are putting their own rhythmical spin on poetry. Her main tip to the students was to choose a word that starts with the first letter of your name, then with the chosen word, try and rhyme it with three others. The students were then asked to work in groups and to try this top tip for themselves! They went around the classroom trying to rhyme everyone’s names and had a good time working together. 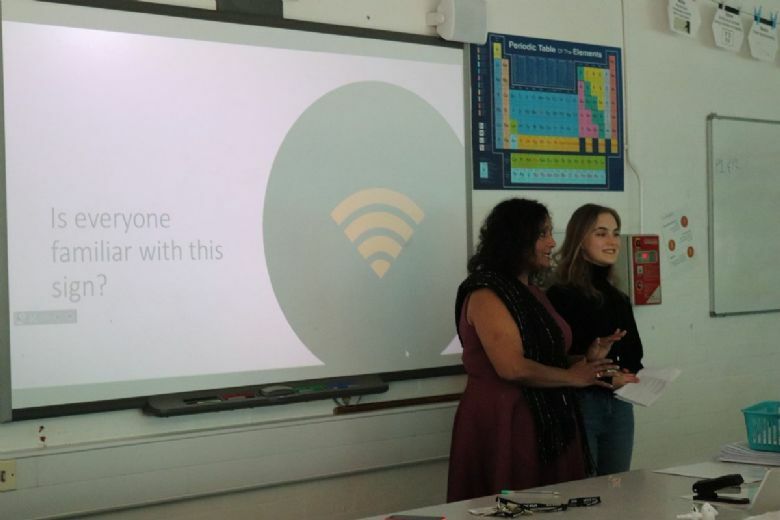 Science teacher, Niv, and A-Level Science student, Diana, worked together to deliver a presentation for our Level 2 Science students all about Women in Science. ‘Not only was Hedy Lamarr one of the most beautiful actresses of her time, but she also had the brains to match’. Our science students learned more about careers and major events that happened during her life. One of them being the abuse she endured from her husband, so she spiked his drink and escaped. After, she spoke about how Hedy Lamarr was in the field of wireless communications and was even the original creator of WiFi! This session was run by English teacher, Rukshana, who spoke about her religion to a group of our sport students. She led a presentation, speaking about some of the common misconceptions and stereotypes associated with Islamic women. These varied from forced marriage and a lack of education to being controlled by men. She did mention that in some unfortunate places, this is a reality for some women, but made a point to highlight that this can happen to anyone and is not directly linked to Islam. 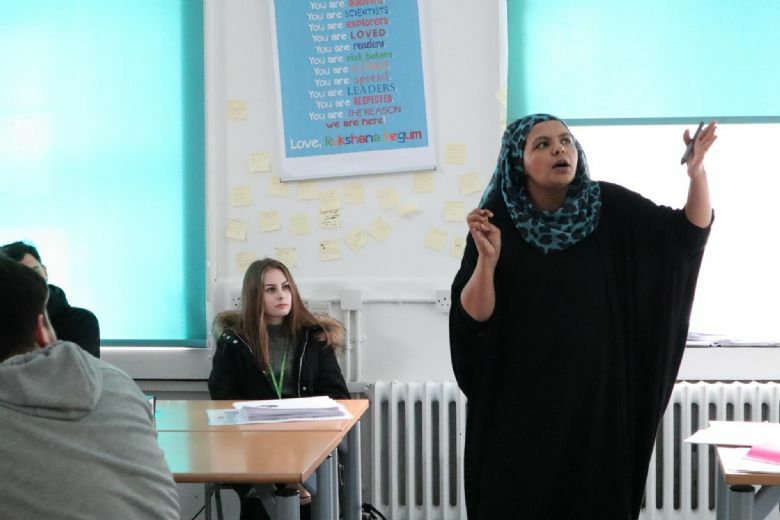 Rukshana showed a short video of a young woman sharing her thoughts on the hate from Boris Johnson on how burqas 'look like a letter box'.It demonstrated how women are speaking out, sharing their thoughts and defending their religion. The presentation finished with Rukshana speaking about what it is like to be an Islamic woman and other women who inspire her as they share and educate others about Islam. Our very own Marcia Williams gave an insightful talk to a bunch of keen writers. A popular author in the 90's, she spoke about the hardships she faced, and how she overcame these with resilience and determination. Marcia wrote 3 books in the 1990s that saw her travel with her publishers participating in book tours, as well as frequent book-signing sessions. Writing her first book when she was 14, Marcia faced rejection a number of times, only to come out on top when she was recognised by a popular publicist - teaching students not to give up on their dreams. The group went on to ask a number of questions like how to get into writing and how to get your work recognised by agents and publishers. For the last session of Day #3, Claire, a teacher of Inclusive learning specially chose one of our students, Johnny, to hold an Origami class. 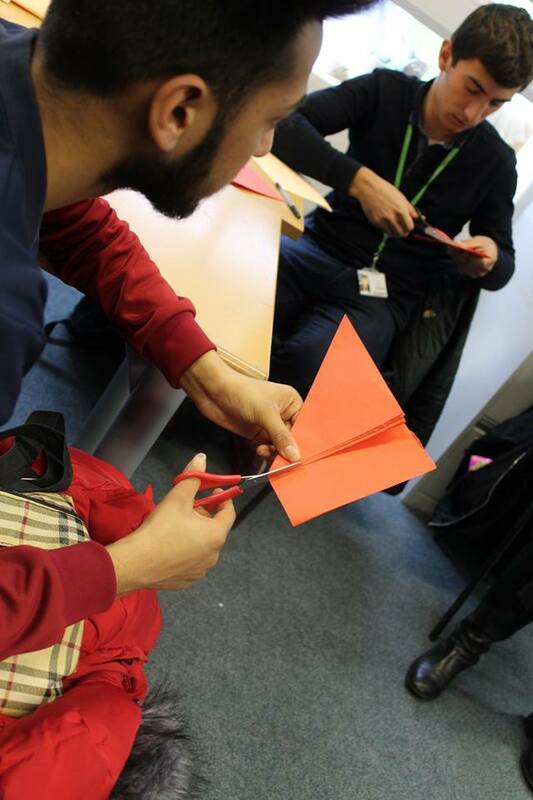 Johnny has practised Origami for a couple of years and has been teaching it to our Inclusive Learning students. As a group they have already made origami flowers and hedgehogs made out of old books donated by students. In this session, they learned how to make a card that has origami flowers pop out when you open it. Johnny led them through it step-by-step and helped the group of students along the way. He even bought his 3D pen for the other students to try out! For day number 4, we got active! Andrea, assistant Principal, and her Taekwondo partner, Kathryn showed off their black-belt skills, teaching the students some basic self-defence moves. 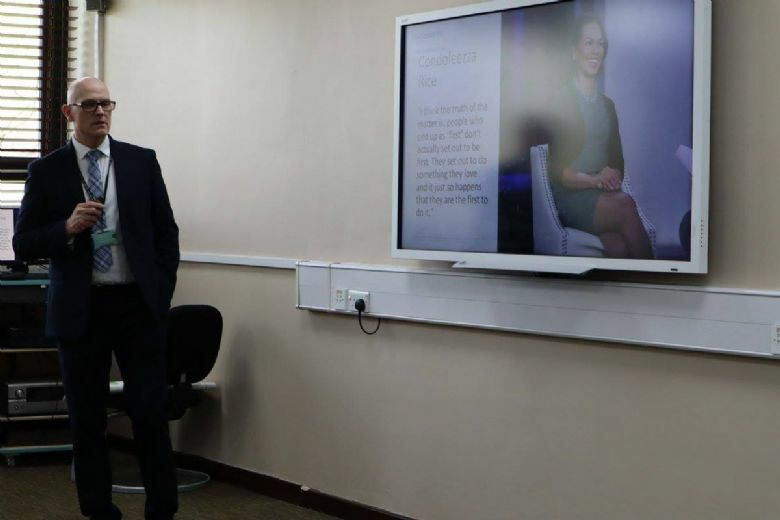 The whole session started off with a presentation about their experience with the sport; this included how women weren’t really known for taking part in Taekwondo until British athlete, Jade Jones, won gold for Taekwondo in the London Olympic Games. They also explained that they have been labelled as crazy numerous times for participating in this sport, especially when competing against men. These inspirational women even showed a short clip of their first time breaking concrete bricks with just one punch! They then moved on to the fun stuff: students paired up and watched a demonstration by Kathryn on how to powerfully kick and punch for self-defence. Students then took it in turns to practice the kicks and punches against each other using pads to protect themselves. To finish, students took part in the rice bowl challenge: a Taekwondo game played in Korea. Students had to squat low enough to balance a bowl of rice on their leg, and whoever stayed there the longest won sweets for their hard work and effort. We started International Women's Day with meditation and mindfulness from one of our media teachers, Jean. 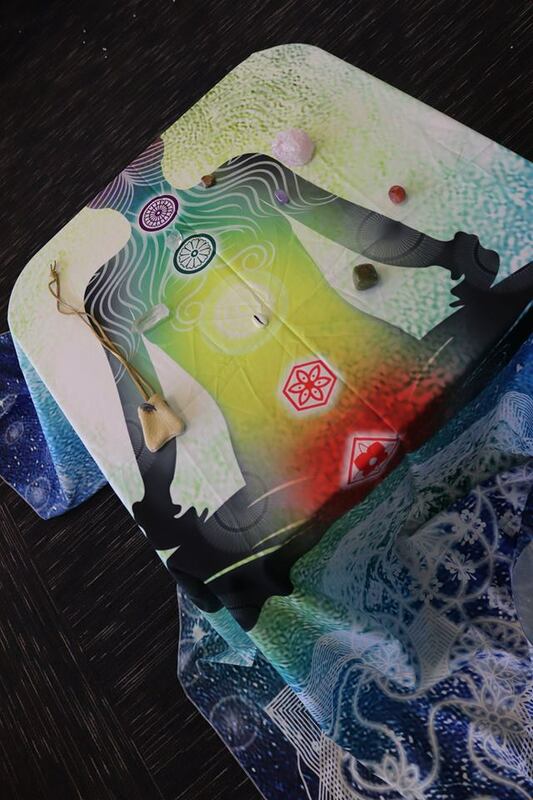 Jean brought in crystals, blankets and even a lavender diffuser to create a calming, Zen environment. She spoke about the different types of meditation and activities such as colour therapy and aromatherapy, and how these can reduce anxiety and stress. After this she put on a guided meditation help relieve stress and anxiety. Students participated by laying on bean bags and mats, closing their eyes and really listening to what meditative words and their meaning and impact. It was a great way for all students and staff to relax and get rid of any negative energy to help them focus with the rest of the day. ‘Where the Water Meets the Sky’ is a documentary about the story of the Samfya Women. Two women visit Samfya, a town in Zambia, to speak to as many women as possible about their lives, finding out about their family, if they are in education and how they live their day to day lives. Students watched this documentary to discover and understand how other people live in different countries and continents, and to be able to recognise their own privilege from the simple things we take for granted like clean water and electricity. Once students watched the moving piece, they wrote a review to truly reflect on what they witnessed and the impact it had made on them. In the last session of this year’s International Women’s Day, we had a special guest speaker to talk to our public services students. Jennie Grace, a local Firefighter held a presentation about women in non-stereotypical roles. She spoke about how it was always her dream to become a Firefighter that she never put into action until she had children - proving it's never too late to follow your dreams. At the age of 40, Jennie decided to apply online for the fire brigade; she went through training, role plays and physical tests to ensure she was fit and determined enough for the role. There are only two women in Jennie's team, demonstrating the need for more female firefighters. 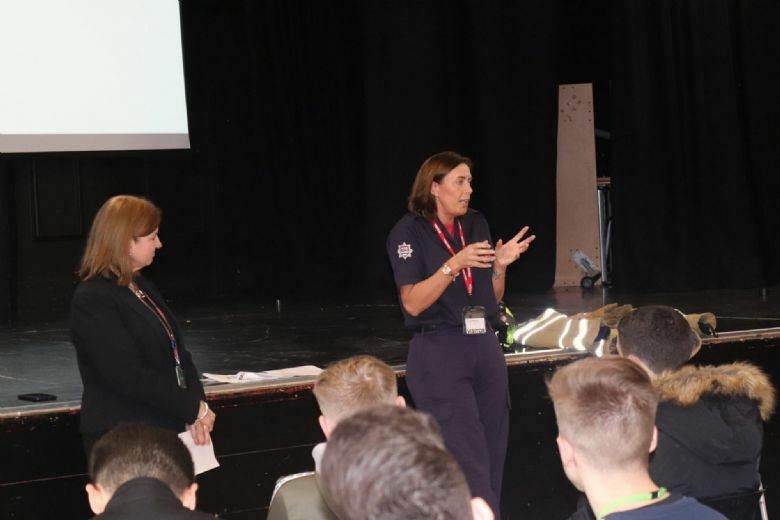 Jennie spoke about how women shouldn't be discouraged from joining, and spoke about the benefits of being a firefighter, and how it has shaped her and her future. 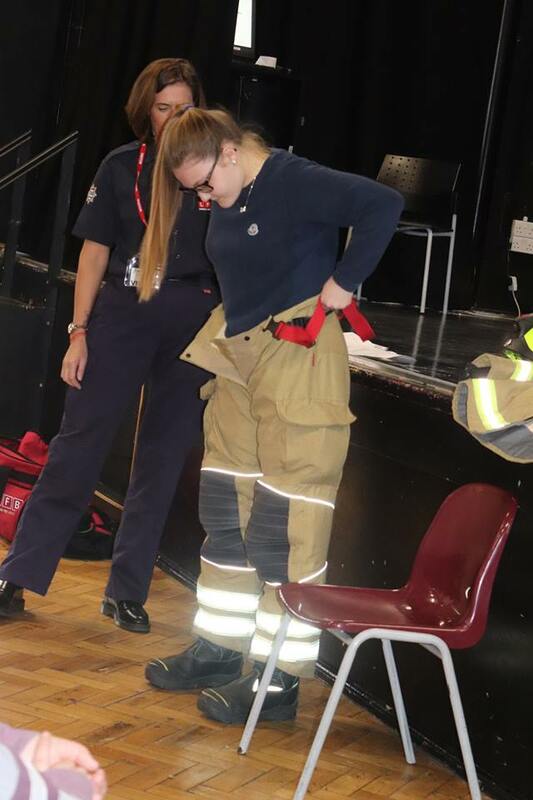 At the end of the session, one of the female students tried on Jennie’s firefighter uniform, only having 60 seconds to put it all on - This is the amount of time firefighters have to put on their uniform when a call comes in. 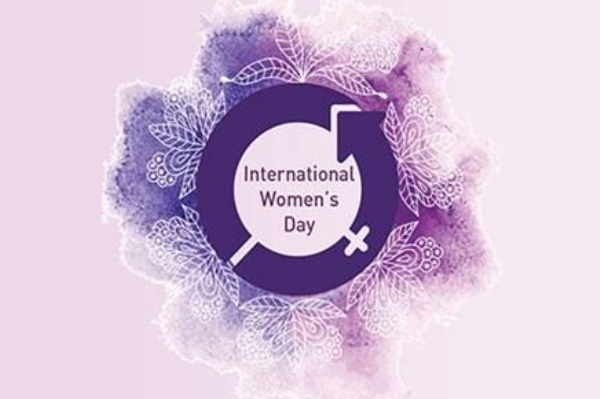 It’s needless to say that we had an amazing time celebrating International Women’s Day and our students, both male and female, are all feeling very inspired and enlightened!